Bettye LaVette, 72, is song interpreter of the highest order. 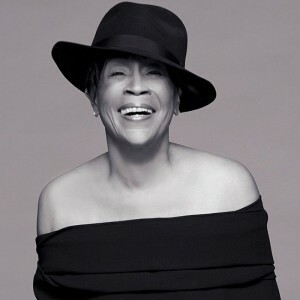 Don’t call Bettye LaVette a cover girl. The petite yet powerful rhythm and blues veteran, revered as a diva of interpretation, has never struggled to craft other people’s music into her own compelling story. LaVette, now 72, will be performing Saturday at the Smith Opera House on Saturday, Oct. 6, with Evan Mercer on piano. Syracuse jazz singer Ronnie Leigh opens the 8 p.m. show. Those who know the three-time Grammy nominee and Michigan native adore her. They tend to be the connoisseurs and deep divers of R&B; some of her most ardent fans live in Europe. But LaVette’s 57-year singing career has seen fleeting successes (in 1962, at age 16, she recorded a hit single “My Man—He’s a Lovin’ Man”) and stolen opportunities (a decade later, Atlantic abruptly and without explanation canceled the release of her first album, “Child of the Seventies”). It has taken musical theater detours (she toured with “Bubbling Brown Betty”) and later rebounded in the Detroit clubs and lounges of her youth. The 21st century has been much kinder to LaVette, whose high points include the 2003 release of her album, “A Woman Like Me,” a stunning performance at the 2008 Kennedy Center Honors (when she sang The Who’s “Love Reign O’er Me”) and then the 2009 Inaugural Celebratory Party for then president-elect Barack Obama. The following year she released “Interpretations: The British Rock Songbook.” This spring, she came out with an album of Bob Dylan songs, “Things Have Changed,” which some critics are calling LaVette’s best work yet. The 2000s have also brought LaVette a slew of music industry awards, an autobiography, “A Woman Like Me” (co-written with David Ritz), and a happy marriage to Kevin Kiley, a longtime devoted fan. The Smith spoke to LaVette by phone from her New Jersey home. The following is an abbreviated version of their conversation. THE SMITH: Who were some of your favorite singers and musicians when you were growing up? LAVETTE: I thought all singers were pretty much the same. I did not approach a recording until I was about 13. Because we had a jukebox in our living room, my parents (who sold corn liquor from the family home) didn’t see the point in me buying records. We did not go and see anyone, so by the time I had favorite singers, I was a singer myself! THE SMITH: Really? You never performed before? LAVETTE: I was such a horrible child in school, they wouldn’t let me be in the choir or in the play. They would try, and then I’d do something bad and they would put me out of it. THE SMITH: They probably regret that now. LAVETTE: Oh I would like to think so! The one time I was in the talent show in this small, two-classes-in-one-room Catholic school, I sang “I’m a Hog For You Baby” by The Coasters, and the Mother almost fainted. So that was the last talent show that they let me be in. Everybody agreed I could sing but I was bad. THE SMITH: Did you ever consider a different career path? LAVETTE: No, not after I started singing. There is nothing more wonderful than when it works, nothing more awful than when it doesn’t. But I’m from Detroit and everyone else I knew worked in steel or for General Motors, Chrysler or Ford. I didn’t want to work for any one of those. THE SMITH: How would you describe the highlights in your long career? LAVETTE: The recording of my first record was the highest highlight of my entire career. To be 16 years old and to be signed by the biggest black record company, Atlantic! And then the Kennedy Center Honors and singing for the first black president at his inauguration. Those are the biggest things that have ever happened to me. While (my career) has been as long as that of Keith Richards’ (who played a tracks “Things Have Changed”), it has not had as many highlights. THE SMITH: Not everybody can survive a Keith Richards story. So kudos to you. LAVETTE It really has not been as wonderful as many of my contemporaries. But I am fortunate in that if you look at the other side of it and you look at who my contemporaries are, I’m from Detroit, so I personally know all the people that have become legendary from Motown. But they are all dead. And they all killed themselves. And I hung with them. They were my friends. Somebody was asking me, “How did you manage not to get strung out on cocaine?” I said, “I never had enough money to buy any.” So there goes that. But in the middle of all this, from the ‘60s to now, I have been singularly very fortunate. I really haven’t been treated very bad by anyone except the industry. And that is a cruel lover. THE SMITH: How do you look back at the more challenging times in your career from the vantage point you’re at now? LAVETTE: Well, my career is still doing exactly the same thing it has done for the past 57 years. It’s just doing it in bigger leaps and bounds now. Especially in the last 15 years. And now that everybody has fallen in love with the first part of rhythm and blues music from the ‘60s through the ‘70s, all five of my careers, as I call them, are coming together. They are all in a blender now and we don’t know what it’s going to turn out to be. I only look back at it in interviews, I don’t dwell on it. THE SMITH: What brought you to the “British Rock Songbook” and to Bob Dylan’s music? LAVETTE: I was brought to the genres, both times, by record companies. I thought they were very good ideas. The British Rock Songbook was something, just like Dylan, that was never played on black radio. So most of the songs I did not know. My husband, who is Irish and who knows all things music, knew all of the songs by these people. He went through them for me. He knows me so well now and more and more as a singer, and he knows what I would like to sing and what melodies appeal to me. He knows I want the words to be very strong. He knows I don’t like the words to say the same thing over and over. He was able to listen on both occasions to all the songs, and there were hundreds. I listened to the last 50 or 75 and picked 12 of them. THE SMITH: You have interpreted and reinterpreted so many songwriters, do you have ones you connect with you more than others? LAVETTE: Cole Porter. Those songs are the songs you sing for all of your life. You can sing them softly, you can just say the words because they are poetic. I tend to dwell a little bit more in the 20s and 30s than I do in today’s music. THE SMITH: How do you go about making someone else’s song your song? LAVETTE: Do you know how much easier it is for me to sound exactly like me than to sound like The Temptations or whoever? The only thing I can do is to make it my own. When people stand and replicate songs just the way the recording went, I don’t understand that. How can you feel exactly the way somebody else did about some words? I really look at it that simply.